Visalam recalls a way of life that was truly extraordinary. The Chettiar community of this region were prosperous traders who loved the good life. Their palatial houses were standing testaments to an aesthetic sense that was lofty in its conception and painstaking in its details. A celebrated residence though it once was, Visalam today is a veritable museum, having preserved almost everything of its original character and interiors from the time it was built almost a century ago. The rooms are large with high ceilings, gleaming floors and polished windows and doors that characterize comfort and luxury of a very warm and intimate kind. The furniture is period in style, flawlessly crafted and made from the finest Burma teak. 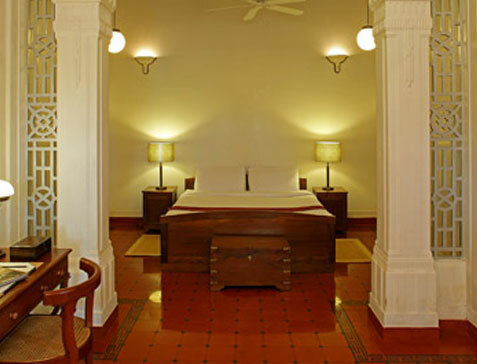 The floors and walls are inlaid with the famous Aathangudy tiles that are handmade to this very day. To complement this antique spirit of the house, we have added a service style that is rooted in the tradition and culture of this region, making for a holiday experience that is as magnificent as it is local in nature. The pearly lustre of the plastering of the walls and pillars of the homes is unique to this region. It is a rather unusual formula consisting of eggshells, lime, palm jaggery and seashells, ground together by hand to make the base material for plastering. The final polishing is done with the white of eggs, whose proportions for mixing and casting are known only to a few. The end result, however, is more well known - astonishingly smooth and glossy finishes that have to be seen and touched to be believed! 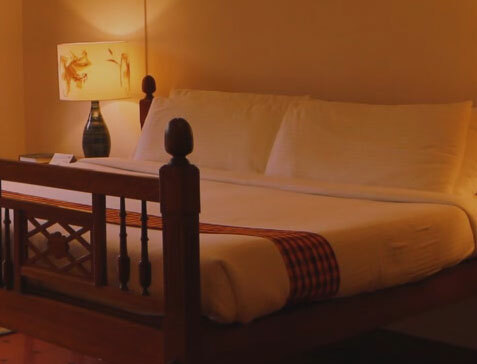 The bed runners, cushions and even the uniforms of our people at Visalam are sourced from the famed handloom weavers of Chettinad who still make colorful cotton fabrics the traditional way. Visalam is a veritable showpiece for these famous tiles that are a leitmotif in many a grand Chettinad home. Part of their allure lies in the fact that they are made entirely by hand through a process perfected over many generations. 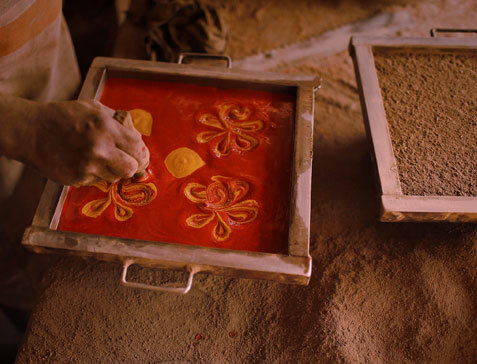 There are over one hundred small-scale tile factories in the village of Aathangudy, about 10 Kms from Visalam, where this unique handmade tile making process still continues.